The land, which measures around 5,000 square metres at Kasturba Niketan in Lajpat Nagar area of South Delhi, was allotted to the traders' body by the Green Court in 2015 to minimise traffic congestion in the busy marketplace. 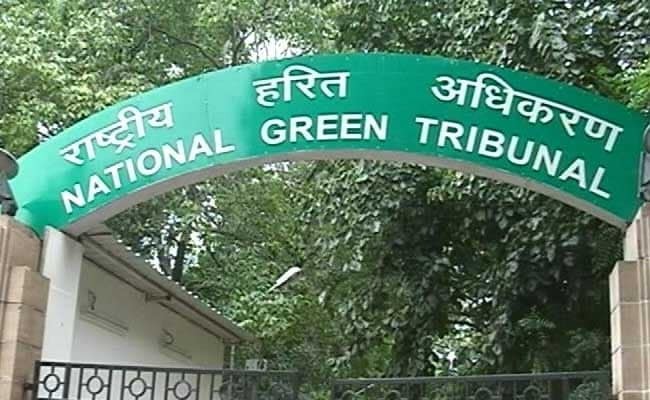 New Delhi: A traders' body of Lajpat Nagar market here today moved the Green Court (National Green Tribunal- NGT) against a Delhi Urban Shelter Improvement Board's (DUSIB) order restraining them from using a piece of land used for parking of vehicles. The Green Court had direct the DUSIB to allot the land as a temporary parking site for parking of vehicles till a multi-level parking was constructed by South Delhi Municipal Corporation (SDMC) in that area. A bench headed by Green Court Chairperson Justice Swatanter Kumar issued notices to the Delhi government, SDMC, DUSIB and others while seeking their reply before October 13, the next date of hearing. The traders' body in their plea, filed through advocate Gautam Singh, said that despite the order of the Green Court, DUSIB issued a show cause notice to it after inspection in September 2016 and later denied permission to the applicant to utilise the space for parking. Despite numerous letters and representations, DUSIB has not taken any action in this regard which led the traders to file the petition, which seeks directions to the DUSIB to earmark the plot and comply with the Green Court's 2015 direction. The petition said that vehicles were being parked on both sides of the metal road in total violation of the orders of the tribunal and it was difficult to move on the footpaths which also have been encroached upon. "The applicant submits that as winter and festive season is approaching, non-availability of the said land would result in greater congestion and frequent traffic jams, resulting in rise in air pollution and degradation of ambient air quality," the plea said.